For various reasons, which I won’t go into right now, we have barely been in the garden this year – it’s been tumultuous to say the least – no time for much apart from pressing issues, let alone gardening or blogging. From the patio window, I’d seen various bulbs flower and go over, during late winter and early Spring, dwarf irises, crocuses, various daffodils and narcissi, and the early tulips. 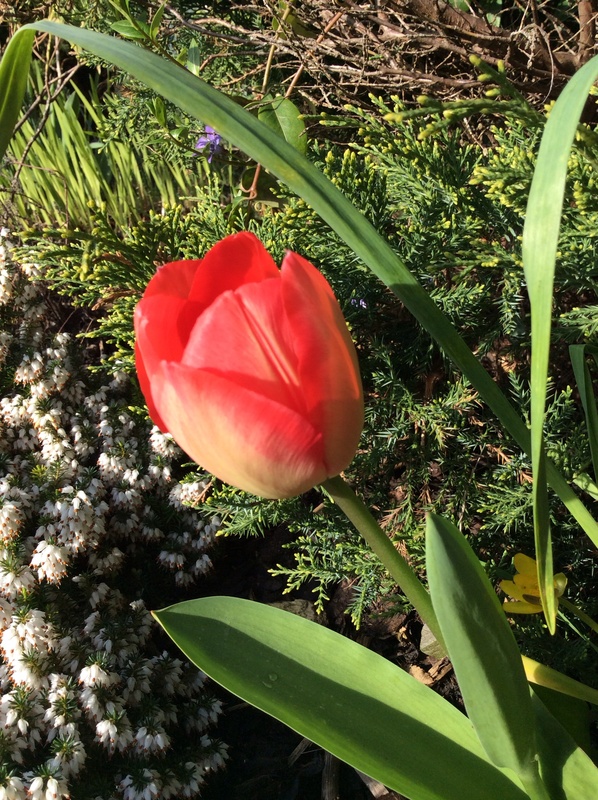 At Easter weekend we had a bit more time and some dry weather, we ventured into the garden to see how things were and start tidying up – there were quite a few tulips around. so I picked some which reminded me of fire. There was also tête-à-tête daffodils and some orange wall flower. 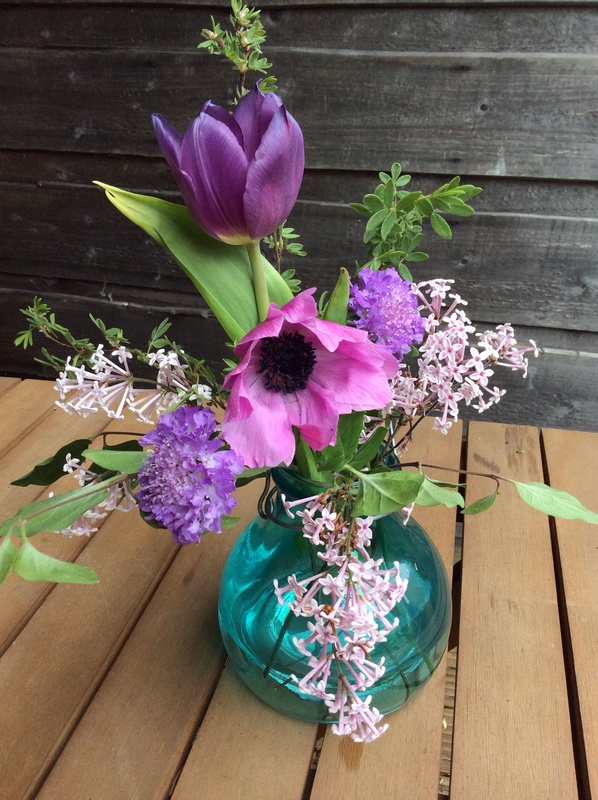 My Chap and I have got back to arrangements for our wedding in September this week 🙂 we’ve got a flowery theme – and regular readers won’t be surprised to know it features purple. I CANNOT WAIT to get married to him and continue our life together – happily married. They’re are in a vase which I found in the house of my friend, who died in 2015. It was his mother’s but I never saw any flowers in the house, in the 25 years I knew her. It’s a 1960s crystal style triangular vase – it wasn’t her taste at all so I think it might have been a wedding gift. She was a very determined lady – a Northern matriarch with a love of crosswords and opera. We always got on very well. I miss her too, she died in 2013. 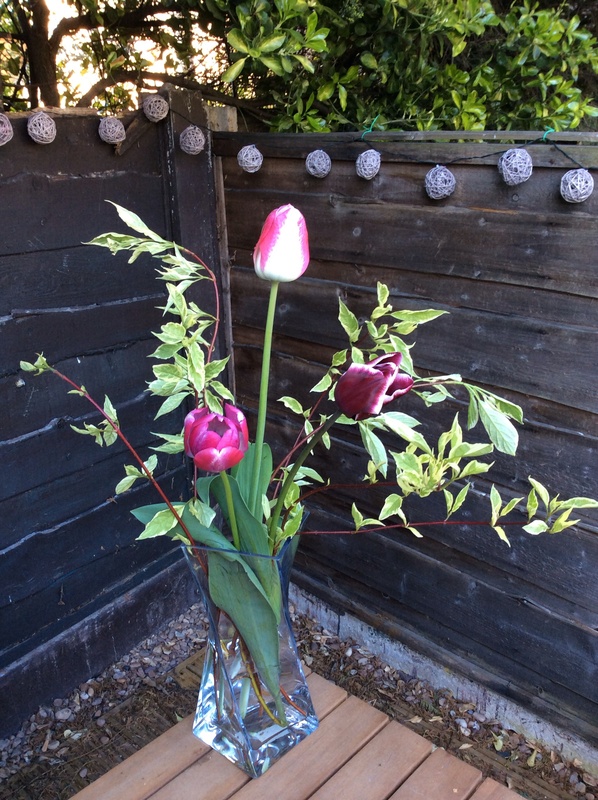 I’m joining Cathy from Rambling in the Garden who hosts this worldwide link up of people picking flowers and foliage from their gardens or locality – she has a lovely fresh pink and blue vase – with a tulips in it too (as Cathy says – a hazard of this time of year but I don’t mind as I love tulips). It SO helps me to look at other people’s flowers and arrangements- it lifts my mood even in the darkest times (metaphorically as well as physically). Cathy, and the other gardening bloggers, have been been lovely to me during all the tribulations I’ve had over the last few years – so many supportive and positive comments. Thank you everyone – it means such alot to me. Bethany Hamilton (1990 – ) Professional surfer who lost her left arm in a shark attack aged 13. I’m a grown woman and many people would say I’m a determined person, with bucket loads of resilience – but gosh it’s been tested recently, with everything that life has thrown at My Chap and I over the last few years – once again I’m feeling chronically exhausted, with a lot of physical pain, especially from my arthritis. I am SO looking forward to spending our wedding day in September with these women, with my female pals from all across the world some I’ve know for decades and some much more recently. The blokes I know are pretty awesome too. It’s going to be a day of fun, flowers, cake, music, dancing but most of all love and laughter. Fingers crossed for no rain as we are planning an outdoor ceremony. I am grateful every day for my family and friends, but most of all I am grateful my wonderful Chap pitched up in my life nearly seven years ago. I would be in a pickle if he wasn’t here holding my hand. Fire in our hearts always – I definitely agree with theAnn Landers quote. I’m determined to get out in the garden more too – It’s my solace and I know it will help me. And pick some more flowers for vases too. 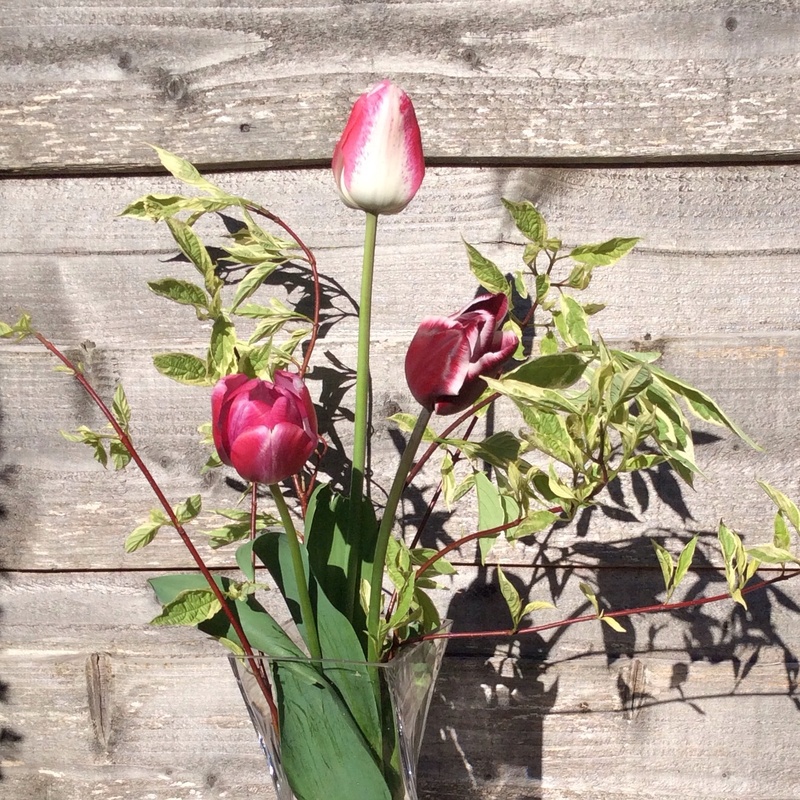 This entry was posted in Gardening, In a vase on Monday and tagged daffodils, In a vase on Monday, Tulip on April 20, 2017 by Bec - views from my garden bench. This entry was posted in Gardening and tagged Tulip on April 13, 2016 by Bec - views from my garden bench. I managed to dodge the torrential rain to get my contribution to ‘In a Vase on Monday’ – late as usual but I’ve got a very good excuse. I picked lilac from a dwarf tree my mum gave me last year, an anemone, the last purple tulip, some Scabiosa (often called pincushion plants), and the greenery is from a white potentilla which hasn’t started flowering yet. The vase is actually a tea light holder made from recycled glass with a little metal hook. I bought it at the Eden project a couple of weeks ago – as you can imagine they use a lot of recycled materials and there are some really lovely things on their website shop. I liked the colour combination of shades of purple/lilac and a bright green. She’s got a rainbow of colours and ribbons this week – it really cheered me up – Thank you Cathy. 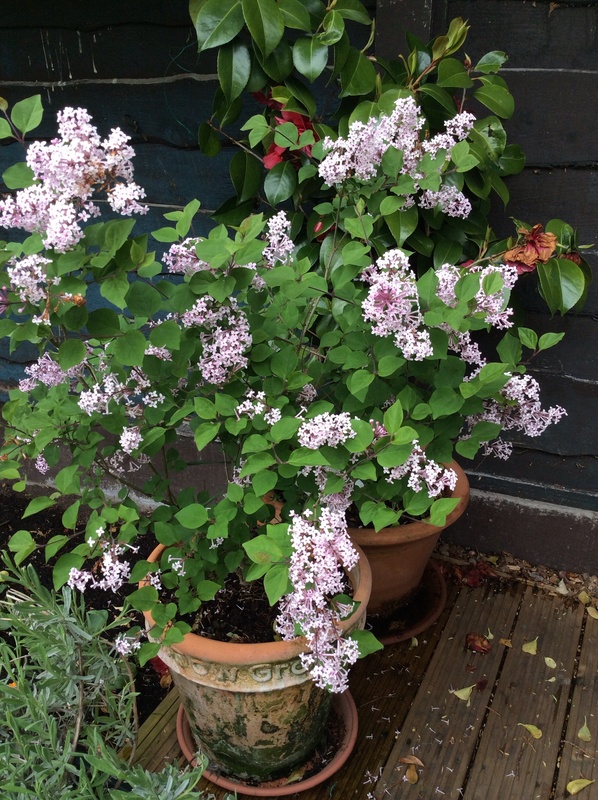 The lilac bush smells wonderful – it’s sitting next to my bistro table at the bottom of my garden – not that we’ve had much time to sit outside as it’s been very wet and windy. I haven’t been around much recently on the blog or in Manchester – we were in Cornwall ‘on holiday’ for a week which definitely wasn’t enough time. I fellt like I’d just skimmed the surface of Cornwall. We are already planning our next visit, probably in September. Since I’ve been back home, I’ve been horrendously busy. Big life issues have got in the way to say the least – a very old, close friend of mine died very suddenly at the end of April; pals from University and I organised his funeral last week. We are all in a state of shock. So we had a lovely, but very weird holiday to Cornwall, we were staying in beautiful cottage Charlestown with a view of the sea from the windows. Charlestown is an 18th century port (with its own tall ship) on the edge of St Austell with a couple of restaurants, pubs and a lot of craft/art shops. Good walks along the cliffs locally too. I’ll write in more detail about our holiday another time. I have wanted to go to Heligan for a very long time. The rhododendrons were out near the house; they were stunning and over 60 foot high; there is just so much to see there all year round. The Eden Project This was our 2nd time – we visited September 2014 – this time the aerial walkway in the tropical dome was open and the view was stunning. 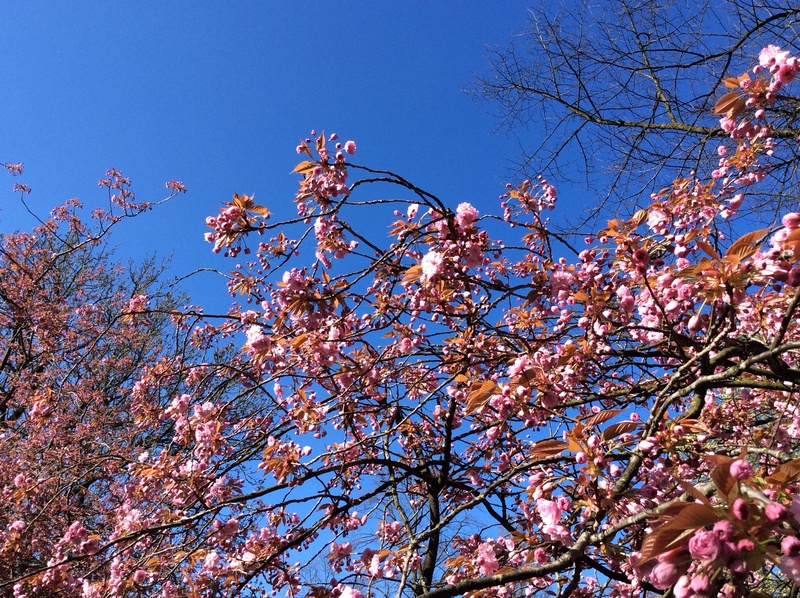 it has the national collection of magnolias but we went to see the camellias, rhodenendron and azaleas – There are miles of forest walks and we saw four people all day. 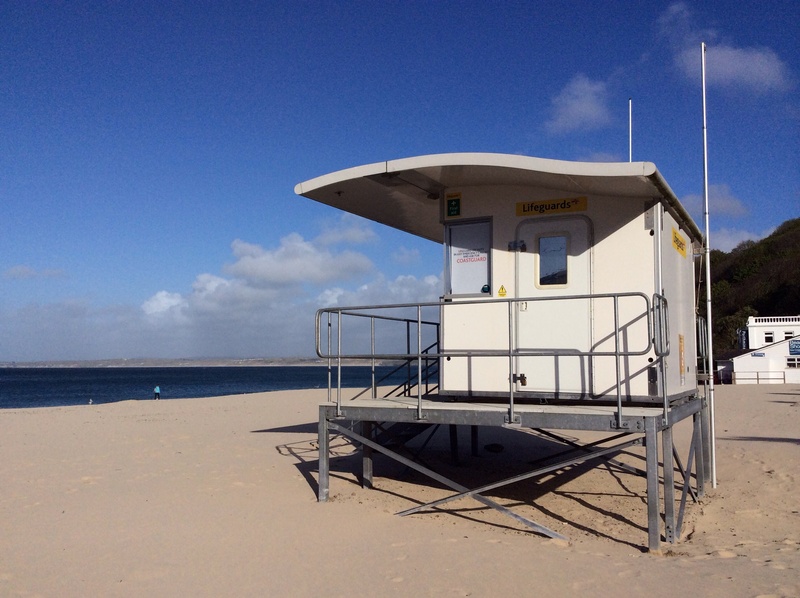 St Ives – wonderful place the sea was turquoise and the sand was white – it was very, very windy the day we went though. My Chap finally got to go inside the Tate Gallery – he was very happy. Looe – the sea was out, so not a lot of fishing boat activity, but there were some great fishmongers. Polperro – the archetypical 18/19th century Cornish fishing village but it seemed to be full of holiday cottages and v shabby. And alot of walks along the sea and cliffs – throwing stones in the sea and listening to Ludovico Einaudi. If you’re local – do to Caerhays and Heligan before the rhododendrons and azaelas go over. You won’t regret it. It has been the hardest and weirdest few weeks of my life but I know I’ll get through this difficult time. I’ll do this though my sadness is very deep – I know gardening will help me. The Great Gardens of Cornwall helped to replenish my soul and my Chap, my friends, my garden, the hills and the sea will do the rest. That and the RHS Chelsea flower show on TV. This entry was posted in Adventures, Cornwall, Gardening, Great gardens, In a vase on Monday and tagged Anemone, Cornwall, eden project, Great gardens, heligan, In a vase on Monday, lilac, Ludovico Einaudi, Scabiosa, seaside, st ives, Tulip on May 19, 2015 by Bec - views from my garden bench. 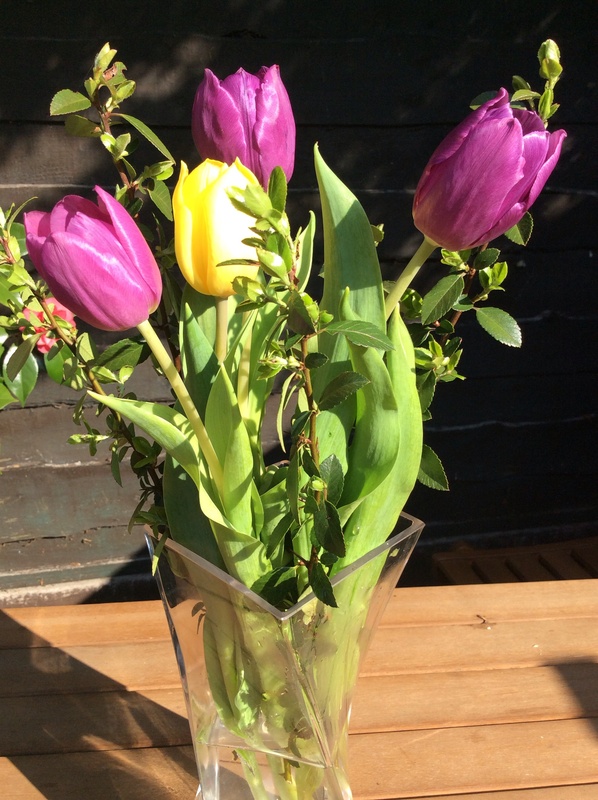 This week’s ‘In a vase on Monday’ is some berberis (cut carefully because of its vicious spikes) with yellow and purple tulips. The tulips have been growing in a border on right hand side of my garden (the sunny side). I planted lots of white, cream, purple and pink tulips last Autumn (from Wilko and Sainsbury’s so as usual I’ve got no idea what they’re called). The yellow one’s were a lovely surprise last week. My Chap planted them when I wasn’t looking – as he loves yellow and tries to sneak more yellow flowers into the garden. I didn’t know much about berberis apart from its sharp spikes and it’s evergreen. Ours has red berries in the Autumn and the bees love it. I’ve seen it growing right across the UK so it’s pretty hardy. People often plant it as hedges or under windows to deter burglars. But, after a bit of research, I discovered there are hundreds of varieties, it grows wild across Europe including the Middle East but also in Himalayas. The berries are high in vitamin C but very tart; the dried berries are used in an Iranian rice pilaf called ‘Zereshk Polo’. The berries are also used in hedgerow jams as it’s high in pectin. I’ll have to look out for the dried berries in the specialist delis in Manchester and have a go at cooking with it. I’ll ;let you know how I get on. Things have been very hectic for me recently, especially at work,so I’m a day late with my ‘In a vase on Monday’; I hope you don’t mind. I felt so much more relaxed walking around my garden this morning deciding what to pick for my vase; I decided not to rush, just as Sergei said. 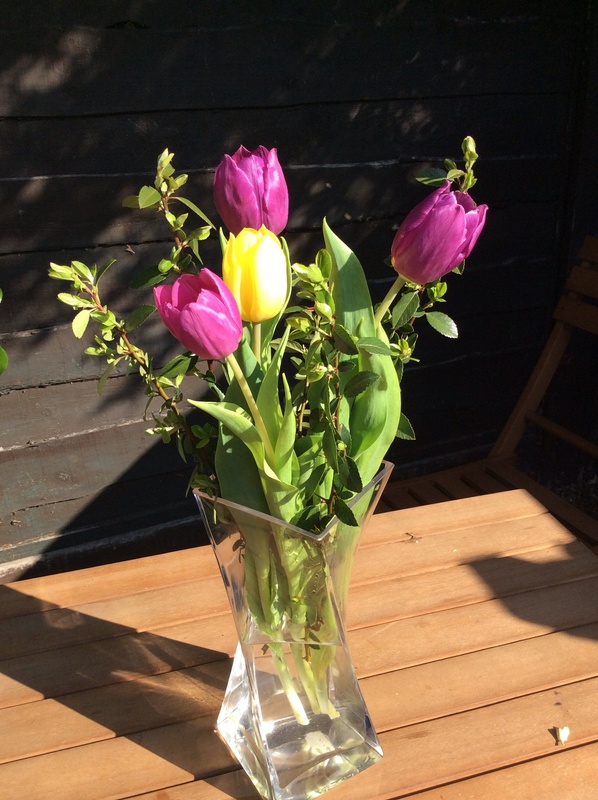 These tulips are really cheering me up so think I might use the picture as a screen saver at work. She has lovely tulips this week too. Have you got tulips flowering near you? 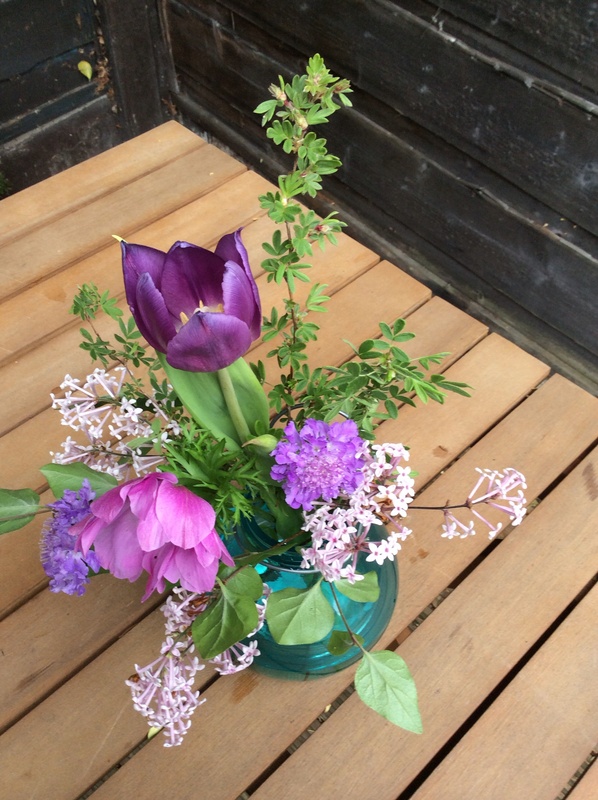 This entry was posted in Gardening, In a vase on Monday and tagged Age, Berberis, In a vase on Monday, Late, Tulip on April 21, 2015 by Bec - views from my garden bench. 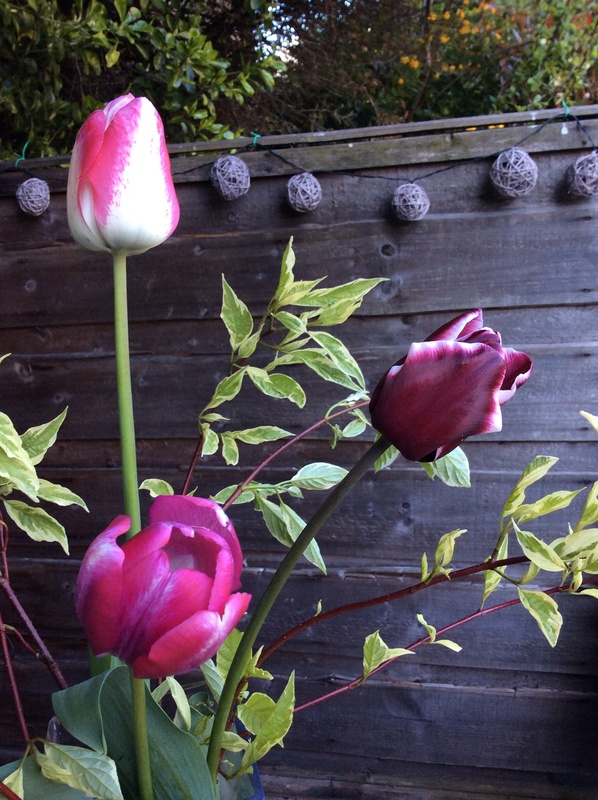 This entry was posted in Gardening and tagged Tulip on April 8, 2015 by Bec - views from my garden bench.